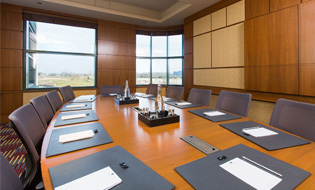 New Meeting & Conference Space Now Open! 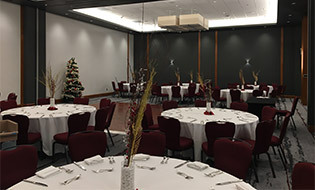 Experience Brookstreet, Ottawa’s premier four-diamond hotel and conference centre. 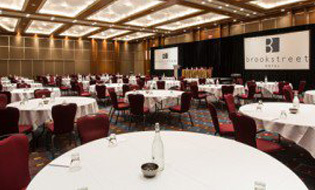 Located in the west end of Ottawa, we offer superior conference amenities for groups up to 600. 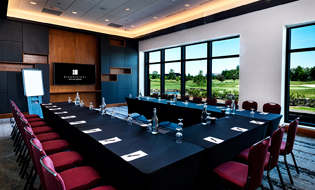 With 30,000+ sq ft of flexible meeting space - 25 meeting rooms, including 3 ballrooms - Brookstreet offers spacious and inspired conference possibilities to keep attendees engaged. Big, bright foyers can comfortably accommodate large groups for receptions and networking, multiple breakout rooms are available for concurrent sessions, as well as lots of versatile trade-show space. While at our facilities, guests can award-winning dining choices from Perspectives Restaurant, the B-Cafe, Options Jazz Lounge (with daily live jazz) and group catering is also available, featuring "a la minute plating". When a day of meetings is complete, Brookstreet offers attendees the opportunity to relax in one of our 276 spacious guestrooms or suites. 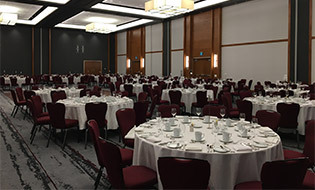 Conference attendees have access to our entire hotel; your guests have plenty of opportunities to unwind and network in our full-service spa, gym, indoor and outdoor saltwater pools, or to play The Marshes championship golf course - Ottawa's leading corporate play facility. 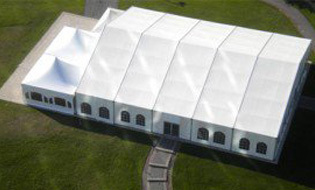 For more information or to arrange a personal tour call 613.271.3582 contact us below. Every one of Brookstreet’s 276 luxury rooms and suites features original artwork, high-quality linens, cozy duvets, individual climate control, windows that open... Learn more about our luxury guestrooms. 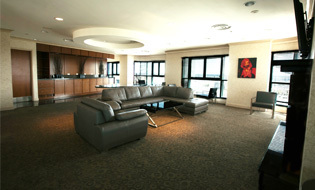 Brookstreet boasts a 4 Green Key Eco Rating and a 3 Green Key Meetings rating. Check out the many green initiatives Brookstreet actively practices on a daily basis. 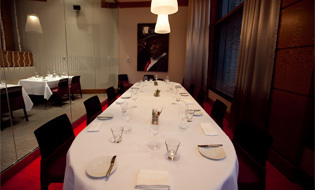 Brookstreet offers catering for outside meetings, breakfast, lunches, garden parties and special events. Take-out and delivery is available, choose from artisan bread sandwiches, salads, sushi, pastries, cakes, Tazo teas, Starbucks coffee and more.